The Alumni Book Club will meet on Monday, August 20, 2018. We will meet at 7:00pm at Galway Arms (2442 N Clark Street). 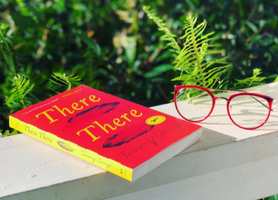 The book selection is “There There” by Tommy Orange. There There is a relentlessly paced multi-generational story about violence and recovery, memory and identity, and the beauty and despair woven into the history of a nation and its people.